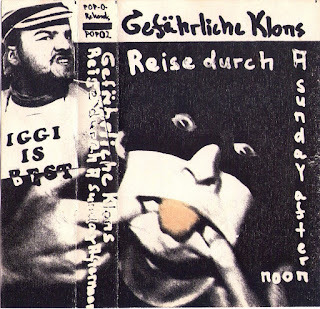 Gefährliche Klons (Dangerous Clones) were a duo from Marburg, Hessen that consisted of Iggi Unpop (Exo Neutrino) and Uwe Linke. They started their musical project after a visit to legendary German Neue Deutsche Welle band Der Plan. Obviously they also took their name from the band's song Gefährliche Clowns (Dangerous Clowns). 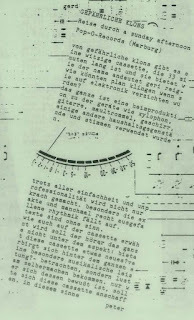 Both members of Gefährliche Klons were very much inspired by The Residents, just like Der Plan was. Der Plan even named their first album after the The Residents concept Geri Reig. The principle that you can get best results with doing the least you can. 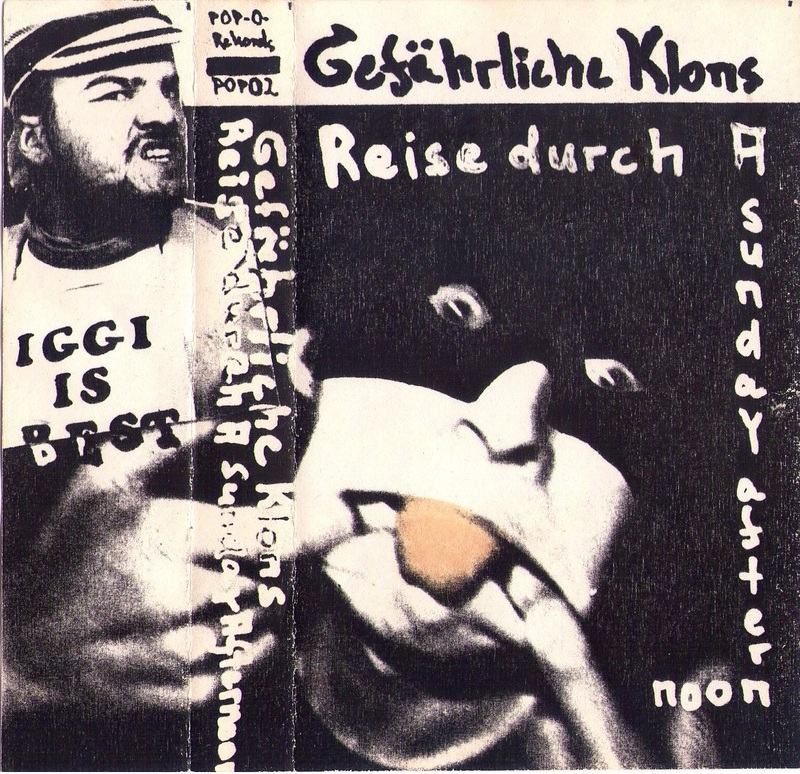 Gefährliche Klons later also morphed into new incarnations like Little Clones, FunTastiKlons or Different Clones (VOD released some of their music as part of the German Punk Wave Box Set), but this cassette was their first output ever. 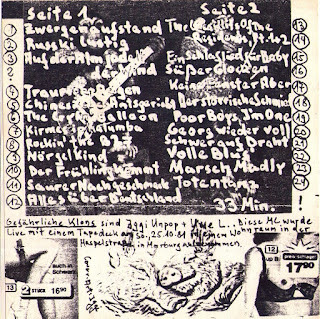 Reise Durch A Sunday Afternoon was self-released in an edition of 20 copies in 1981 and was recorded with the minimal tools of a tape-deck, toys, a mouth-harp, a xylophone, guitar and maybe some kitchenware during the course of a Sunday afternoon. 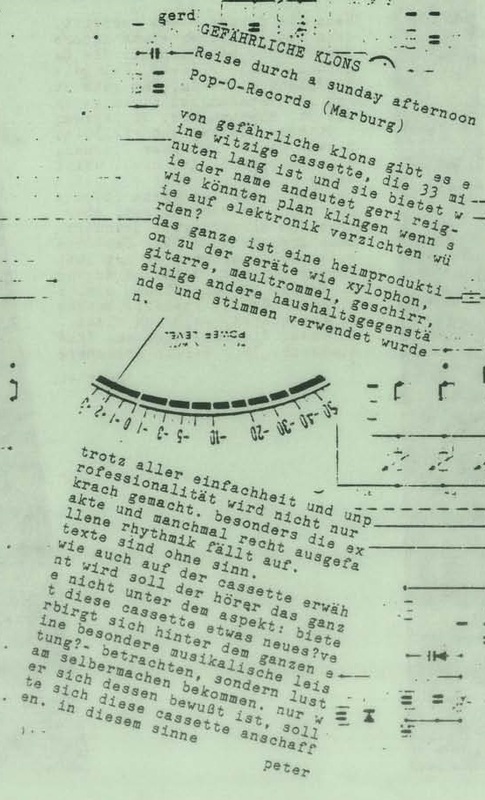 It displays how the Gefährliche Klons were even more primitive than Der Plan, lacking even the implementation of synthesizers and other electronically generated sounds. It's a great example of the NDW scene of the early eighties that sometimes even used a non-music attitude in doing music anyway. More punk than punk, since you don't play punk! 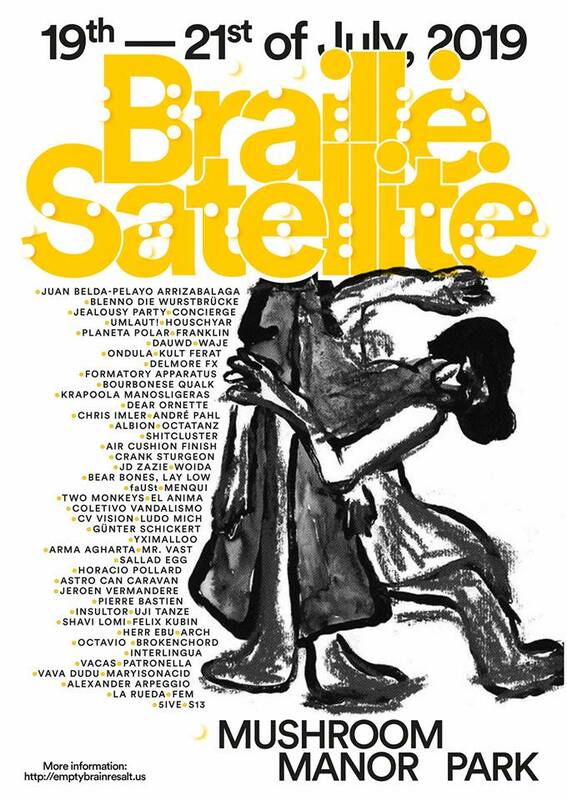 It reminds me of other German acts like Die Parkhaushänker or Der Ewige Musikant. 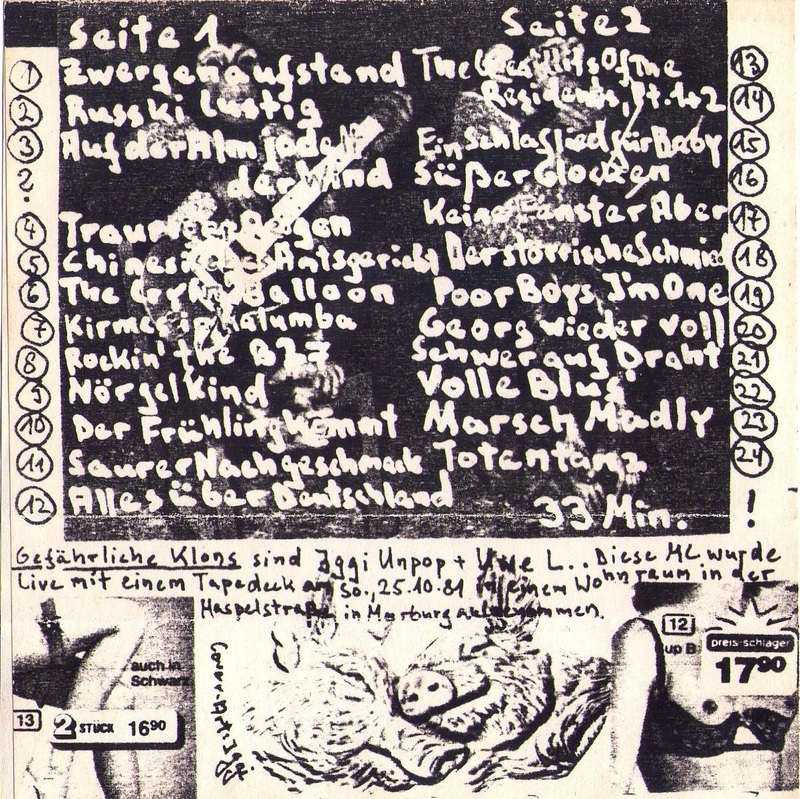 This is an amazing absurdistic Der Plan-related NDW relic from the early 80's DIY cassette culture. It contains nice primitive music, humor and maybe the best DIY cover of The House Of The Rising Sun ever. An edition of 20 hand-made copies! Don't ask me how I find this stuff, it probably finds me.